Have a look at the list of our Cultural clubs on this page and contact the organisers if you want any further information. Kia Ora! 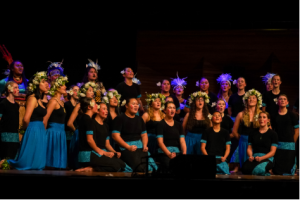 We are WGC’s kapa haka rōpū, Te Haeata Awatea, combined with Wellington College. 2019 is an exciting year for our rōpū with a variety of performance opportunities, including Cultural Extravaganza, Manu Kōrero, Wellington College’s Black and Gold awards dinner and WGC’s Prizegiving. This year is also the Regional competition, where we perform and compete against other Wellington Region schools in the hopes of going to Nationals in 2020. Everyone is welcome, come join our whānau! Keep an eye on the T34 Kapa haka noticeboard for our pānui. Nau mai, haere mai! Poly Club is a place where we come together to learn and embrace the different Polynesian cultures as one. We live, laugh, and sing all together and we are like a second family to those at school. We perform at two big stages, we perform at Tu Tangata every year where all the wellington schools come together to perform for one another and we also perform at Cultural Extravaganza with Wellington Boys every second year. Come along and try poly out! You don’t want to miss out!!!! WHEN: Practices are 3 times a week (2 practices will be after school and 1 during lunch time – days of practice TBC).